This is a scalable context timeline. It contains events related to the event November 13, 2001: Spanish Al-Qaeda Leader Barakat Yarkas and Ten Associates Arrested. You can narrow or broaden the context of this timeline by adjusting the zoom level. The lower the scale, the more relevant the items on average will be, while the higher the scale, the less relevant the items, on average, will be. 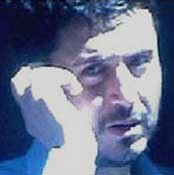 In 1995, a Spanish intelligence agency begins monitoring Moutaz Almallah as it starts monitoring the al-Qaeda Madrid cell led by Barakat Yarkas (see 1995 and After). Almallah is considered Yarkas’s main assistant and also is the “political chief” of the cell. In 1998, Almallah and Yarkas were photographed at an airport in Spain meeting with Mohamed Bahaiah, known to be a courier for bin Laden. Judge Baltasar Garzon leads the investigation. [El Mundo (Madrid), 3/2/2005; BBC, 3/24/2005] In November 1995, Spanish police officer Ayman Maussili Kalaji, a Spanish citizen originally from Syria, sells an apartment to Almallah. Kalaji will later admitting to having a long time acquaintance with Almallah. Kalaji has a suspicious background, including a connection to Soviet espionage, and at some point he serves as Garzon’s bodyguard (see May 16, 2005). [El Mundo (Madrid), 8/22/2005] In November 2001, Garzon will arrest Yarkas and the main figures in his cell, but Almallah will not be arrested (see November 13, 2001). [El Mundo (Madrid), 3/2/2005] Almallah will move to London in 2002 to live with radical imam Abu Qatada (see August 2002). He will be arrested in 2005 for a role in the Madrid bombings. In 2005, a police commissioner will request the arrest of police officer Kalaji, but a judge will deny the request (see May 16, 2005). In searches conducted shortly after the 9/11 attacks, investigators discover direct links between the 9/11 hijacker cell in Hamburg and the Madrid al-Qaeda cell led by Barakat Yarkas. German police find Yarkas’s phone number in papers belong to 9/11 hijacker Mohamed Atta. His number is also found in the diary of Hamburg cell member Said Bahaji. [New York Times, 12/28/2001; Irujo, 2005, pp. 150-153] Investigators also find many videos of sermons by Abu Qatada in the apartment where Atta and other members of the Hamburg cell used to live. Qatada is already closely linked to Yarkas and his Madrid cell (see 1995-February 2001). [Guardian, 8/11/2005] Since Spanish intelligence had been monitoring Yarkas’s call since 1995 (see 1995 and After), it is unknown if they ever monitored a call between Yarkas and Atta or Bahaji. However, no such calls will be mentioned in subsequent trials in Spain. The Spanish did monitor numerous calls between Yarkas and Hamburg associates Mohammed Haydar Zammar and Mamoun Darkazanli (see August 1998-September 11, 2001). For years, the Spanish have merely been monitoring Yarkas’s cell. But after discovering these links, the decision is made to shut the cell down. Yarkas and others are arrested in November 2001 (see November 13, 2001). [Irujo, 2005, pp. 162-163] Qatada has been an informant for British intelligence since about 1997; it is unknown if he told his British handlers anything about the al-Qaeda cell in Hamburg (see June 1996-February 1997). Baltasar Garzon. [Source: Associated Press]Spanish intelligence has been watching an al-Qaeda cell in Madrid for years, and has been aware since 1995 that cell members are committing a variety of crimes in Spain (see 1995 and After and Late 1995 and After), but none of them have ever been arrested. Finally, after investigators find links between the cell and the 9/11 hijacker cell in Hamburg (see Shortly After September 11, 2001), the decision is made to shut the cell down. On November 13, 2001 Spanish police arrest cell leader Barakat Yarkas, a.k.a., Abu Dahdah, and ten other alleged members of his cell, including Yusuf Galan and Mohamed Needl Acaid. Spanish police, led by judge Baltasar Garzon, appear confident that they smashed the al-Qaeda presence in Spain. However, a number of suspects are left at large who will go on to take part in the 2004 Madrid bombings (see November 13, 2001). [New York Times, 11/14/2001; New York Times, 10/26/2004] Yarkas, Galan, Acaid, and others will be convicted for various crimes in 2005 (see September 26, 2005). Beginning around January 2003, Spanish authorities discover that a group of Islamist militants living in Madrid are committing a variety of crimes. Barakat Yarkas, the head of the al-Qaeda cell in Madrid, was arrested with some associates in November 2001 (see November 13, 2001) and this group is largely led by other associates who were not arrested then (see November 13, 2001). Police learn members of this group are creating false passports for other militants, and stealing cars and selling them in Morocco to raise money for their militant activities. [El Mundo (Madrid), 8/10/2005] A number of them are drug dealers. For instance, Jamal Ahmidan, who begins associating with Serhane Abdelmajid Fakhet and many of the other militants in 2003, leads a group of about six drug dealers. For example, in December 2003, Ahmidan shoots someone in the leg for failing to pay for the drugs he had given him. And mere days before the 2004 Madrid train bombings (see 7:37-7:42 a.m., March 11, 2004), he flies to the Spanish island of Mallorca to organize a sale of hashish and Ecstasy. Three of the seven men who blow themselves up in April 2003 with Fakhet and Ahmidan are believed to be drug dealers as well (see 9:05 p.m., April 3, 2004). [Los Angeles Times, 5/23/2004; El Mundo (Madrid), 2/12/2006; New York Times Magazine, 11/25/2007] In fact, Spanish authorities have observed militants committing various crimes to fund their activities since 1995, but they continue to merely gather intelligence and none of them are ever arrested for these crimes (see Late 1995 and After). This pattern continues, and none of the militants will be arrested for obvious criminal activity until after they commit the Madrid bombings. Jamal Zougam, an Islamist militant living in Spain, calls Barakat Yarkas, the head of the al-Qaeda cell in Madrid. Yarkas is in prison at the time, and has been there since November 2001 for an alleged role in the 9/11 attacks (see November 13, 2001). Zougam’s call is monitored, and in fact he has been monitored since 2000 for his links to Yarkas and others (see 2000-Early March 2004). Zougam will later say that he was aware he was being monitored, especially since he knew his house was raided in 2001. The Madrid newspaper El Mundo will later comment that the call makes no sense, especially since it takes place just six days before the Madrid train bombings (see October 31, 2007): “It’s like lighting a luminous sign.” It also has not been explained why the imprisoned Yarkas was even allowed to speak to Zougam on the phone. It is not known what they discuss. [El Mundo (Madrid), 4/23/2004] Zougam will later be sentenced to life in prison for a role in the Madrid bombings (see October 31, 2007). Spanish police raid the apartment of Mouhannad Almallah, an Islamist militant suspected of involvement in the March 11, 2004 Madrid train bombings (see 7:37-7:42 a.m., March 11, 2004). The apartment is owned by his brother, Moutaz Almallah. Mouhannad is arrested, but Moutaz is not, since he has been living in Britain since 2002 (see August 2002). Police also raid another apartment on Virgen del Coro street in Madrid owned by Moutaz, where several other bombing suspects, Basel Ghalyoun and Fouad el Morabit, have lived. Possible Involvement in Planned New York Attack - In the apartment where Mouhannad had been living, police find a sketch of the Grand Central Station in New York with precise annotations, leading to suspicions that some militants in Spain were planning a New York attack. However, it will take investigators several months to analyze and understand the sketch, as it is on a computer disc and accompanied by highly specialized technical data. [El Mundo (Madrid), 3/2/2005] He will be rearrested in Madrid on March 18, 2005, two weeks after it is widely reported that possible plans for a New York attack were found in his apartment. [El Mundo (Madrid), 8/5/2005] In 2006, a Spanish police report will conclude that the Almallah brothers had such important roles in the Madrid bombings that the bombings “possibly would not have occurred” without them. [Reuters, 3/8/2007] Mouhannad will eventually be sentenced to 12 years in prison (see March 18-19, 2005).